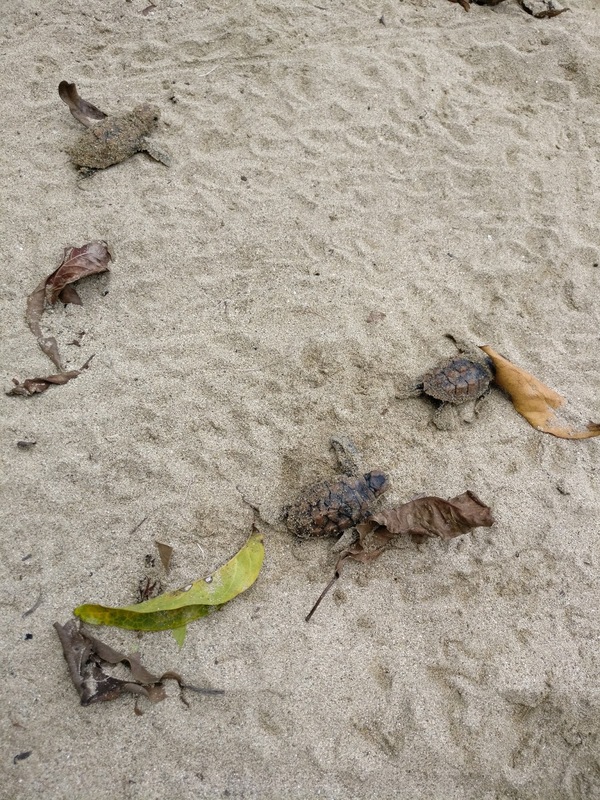 Following the Sky Road: Turtles! A few photos from our day releasing turtles. 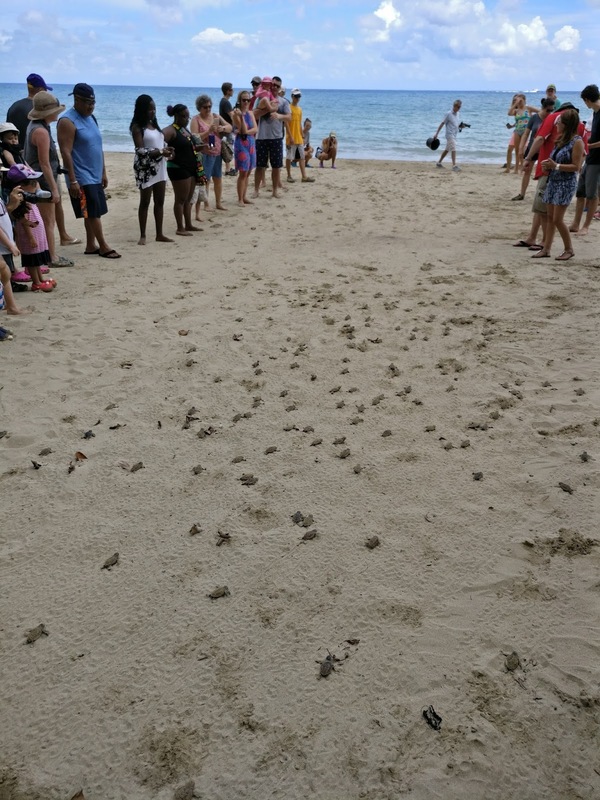 The release was done in partnership with the Oracabessa Bay Sea Turtle Project. Around 25,000 critically endangered hawksbill turtles will be released this year, and 1 in 20 are expected to survive to maturity (usually the odds are 1/1000). 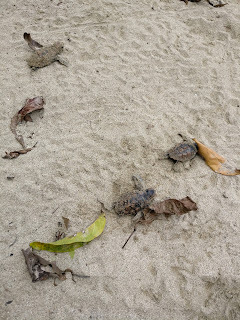 This is due to monitoring the sand to protect against poachers, and to releasing them during the day. 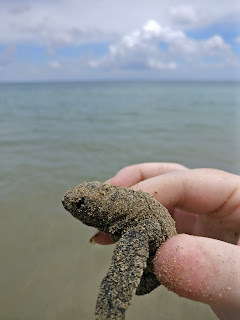 The latter factor ensures the babies are at less risk from natural predators and that they have more strength for the crawl to the water and swim to catch the sea currents. It was an amazing experience, and since the breeding season is relatively long, I hope to be able to take The Historian along next time! After a quick rinse in the ocean, prior to release. 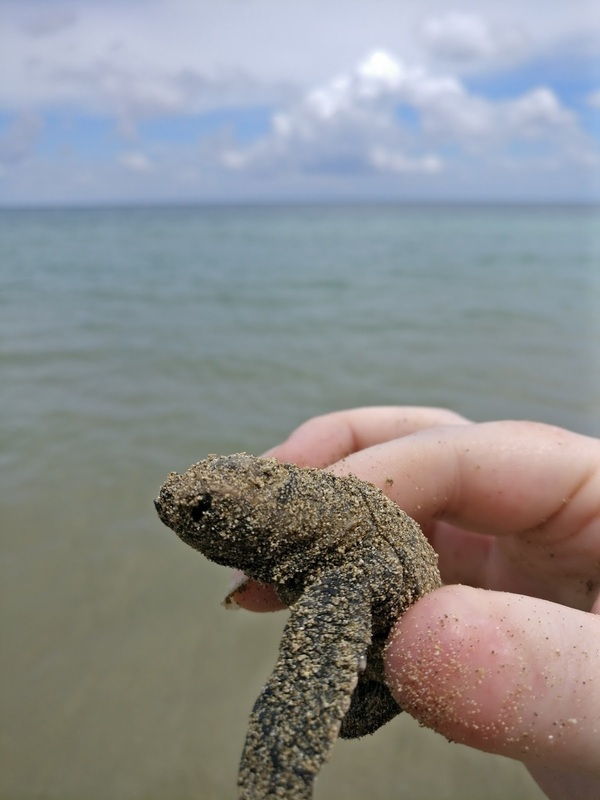 Just released babies, making their way to the ocean. 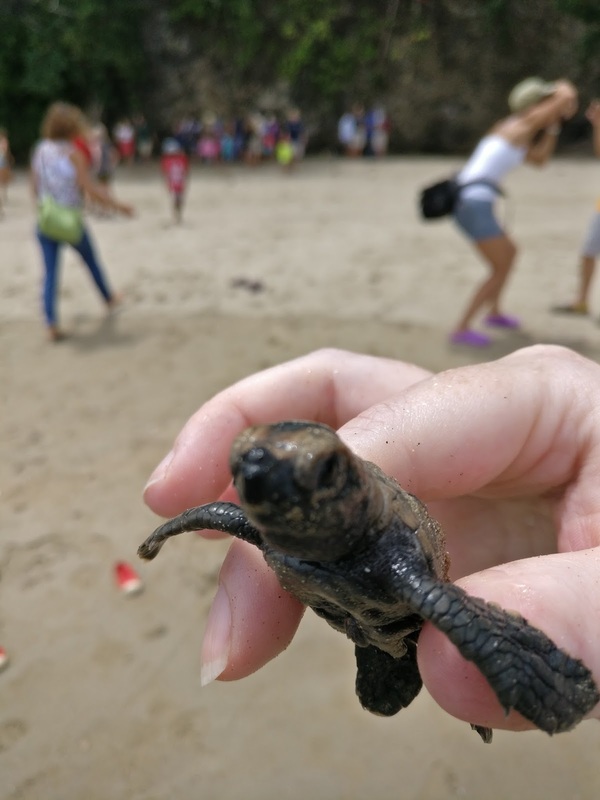 We lined up to help "herd" them along, but once released we did not touch the turtles. Letting them navigate to the ocean on their own helps ensure they can find their way back to this beach when it comes time to breed.